Now for all the Snook Anglers out there, we have a great deal for you! 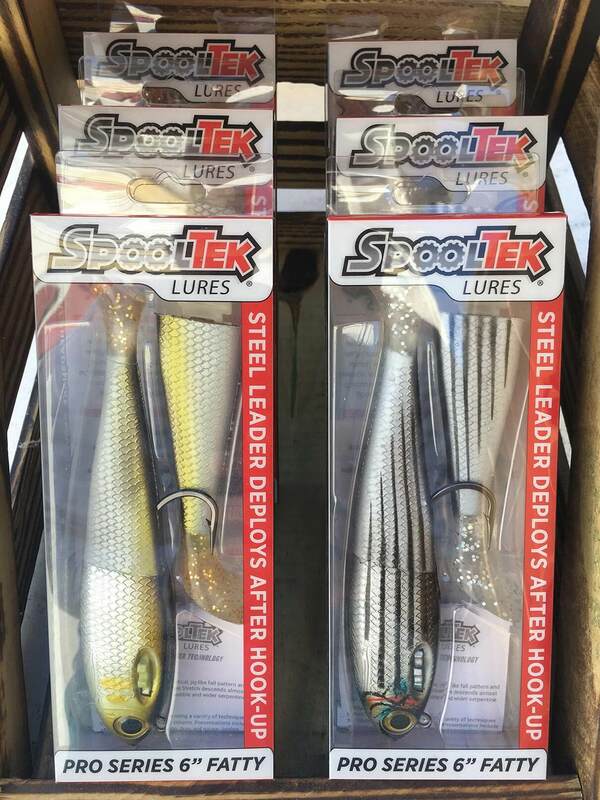 If you throw artificial baits for Snook chances are you have heard of the Spooltek Lure. A very innovative bait as it has a soft plastic tail and a concealed cable leader in a hard plastic head that deploys when you get a bite. For structure based anglers this has become crucial for maneuvering large fish away from the concrete. Due to recent packaging changes we were able to get a hold of a large supply of these baits at a discount, we would like to pass on to you. Were offering a number of different package deals so whether you are already throwing them or have been waiting to try them out this is the time.